Next Thursday, at our Whole School Mass, we come together as a community to praise and thank God as we begin our 2019 school year. At this celebration, we thank God for all that we have been given and recognise that we have been called to share our faith. We also welcome all new members of our community – both our new staff and all our new families. The Mass, or celebration of the Eucharist, is the most important part of sharing our faith and we join in this as a family and as a community. The Eucharist is a celebration of Love – it celebrates Jesus’ love for us and our love for God and one another. It is a continual celebration of our Christian life. The Eucharistic Celebration (Mass) is made up of twelve key moments which are divided into two parts – the Liturgy of the Word and the Liturgy of the Eucharist. In the Liturgy of the Word we are taught by Jesus. In the Liturgy of the Eucharist Jesus nourishes us. This week the summary will reflect the Liturgy of the Word and next week the reflection will focus on the Liturgy of the Eucharist. Each time we join the celebration of the Eucharist (the Mass) we are taught by Jesus. People long ago listened to Jesus as do people today. One of the ways that Jesus talks to us is through the readings. He talks to us especially when we hear the words of the Gospel. Jesus’ words are important for us. When we hear the words of Jesus at Mass, we need to let the words sink into our hearts and become part of our lives. In the homily, the priest helps us understand and connect with what Jesus is saying to us in the Gospel, what is happening for us in our lives today and how we can live out and share the Gospel message with all we meet. For example, in the Gospel reading in the Mass for the beginning of the school year, Jesus teaches us about the importance of ‘being a light for others’ through our words and actions. We are called, each day, to share our faith through what we do and what we say. This weekend and when you are at Mass and next week at our Whole School Mass listen to what Jesus is teaching us through his words in the Gospel. Think about how you can share this message through your words and actions. An invitation is extended to all parents to join us at Wednesday 27 February at 7.00pm in the Library for a Plenary Council Workshop. This is an important time for the Catholic Church in Australia, and they are encouraging us all to think about this question and to share our thoughts. There will be many different responses, but all are valuable and will contribute to the process. We are looking forward to seeing parents at this workshop. Light refreshments will be served during the evening. At Infant Jesus School it is our aim to ensuring all children become successful readers as reading is also a very important for many other learning areas. Reading is also important for life – long after children leave school. i-Read – ‘The Principal’s Challenge’ is a new initiative introduced this year. In this program all year levels will have a large collection of books. However, before these books can be placed in the classes they need to be covered. We would be extremely grateful for any parent help in covering these books. Please come and see Jenny in the Library if you would like to help. The Archdiocesan Sacramental Policy requires the parents/guardians who wish to enrol their child in the Sacrament of Confirmation Program at Infant Jesus Church this year to attend the Parent Information Night on Monday 18 February 2019, 7:00 pm at the Parish Centre. Please note that this meeting is for parents only. Please do not bring children. 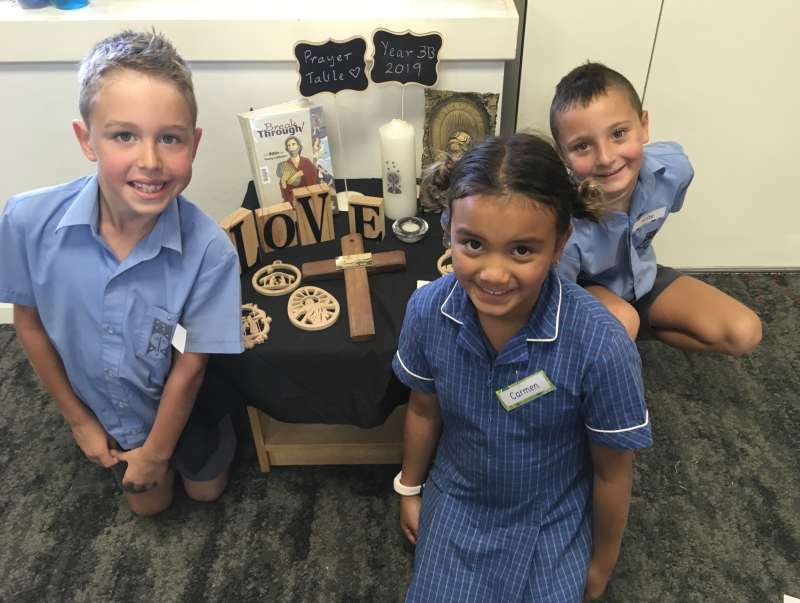 Please send your RSVP to Faith Rico by Thursday 14 February by email: sacramental@infantjesusparish.org.au (preferred) or ring the Parish Office on 92768500 during office hours Mon-Thurs 9:30am-12.30pm. Who is it for? YOU! And for anyone who’s curious to explore the big questions of life, faith and meaning. The talks are designed to encourage conversation and exploration of faith in an open, friendly, informal environment. How does it work? Over 11 weeks, people experience good food, a short talk, discussion and the opportunity to share their thoughts. No pressure, no follow up. How much does it cost? There is no charge.